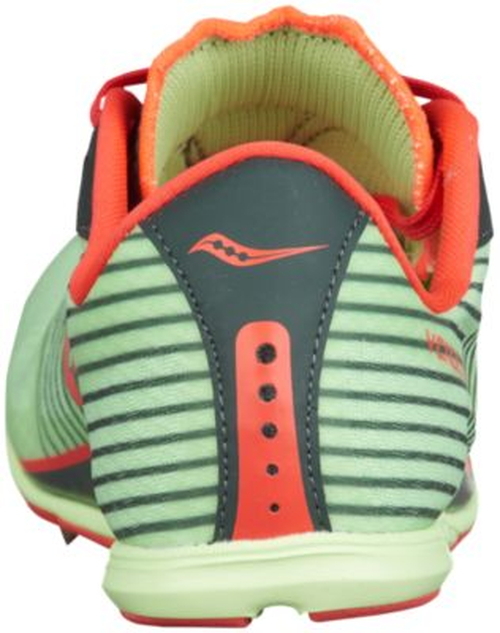 Looking to kick your distance running up a notch while on the track this season? 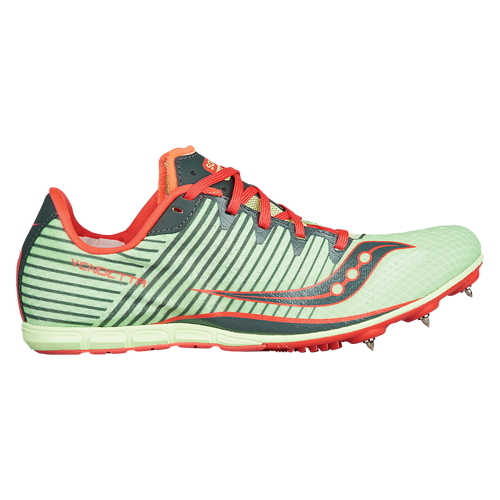 The Saucony Vendetta is the perfect track spike for you then. The entry-level spike is perfect for a beginner looking to get into the swing of things. Open mesh fabric for a comfortable wrap and breathability. Injection-molded EVA foam for responsive durable cushioning. Pebax six-spike plate for lightweight flexible traction. Carbon rubber in the heel for durability. Includes 3/8 pyramid spikes and a wrench. Shipping to Canada is restricted for this product.